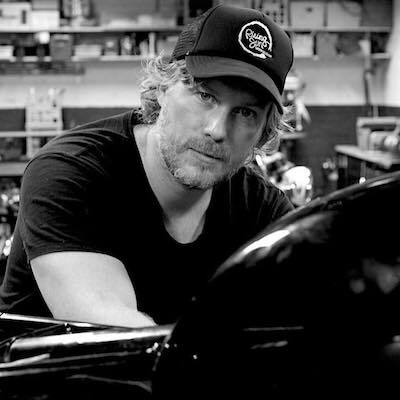 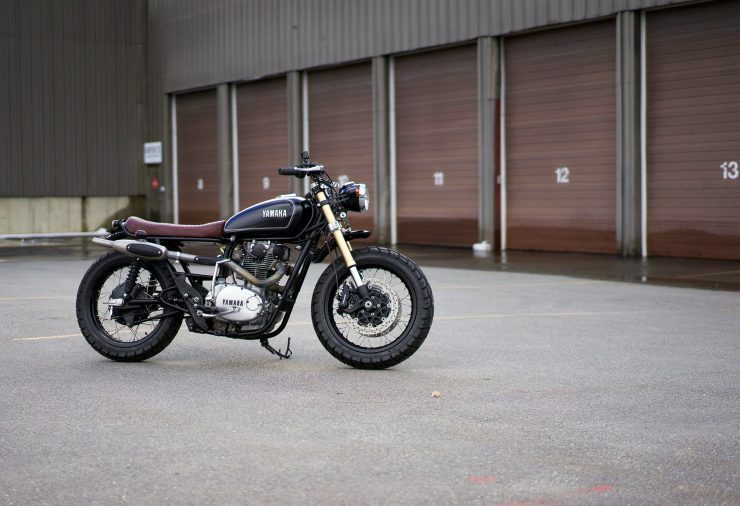 Vintage Steele is a Vermont-based custom motorcycle workshop with a small team of dedicated wrenchers who have made a name for themselves over the past few years by building practical, daily-rideable custom motorcycles. 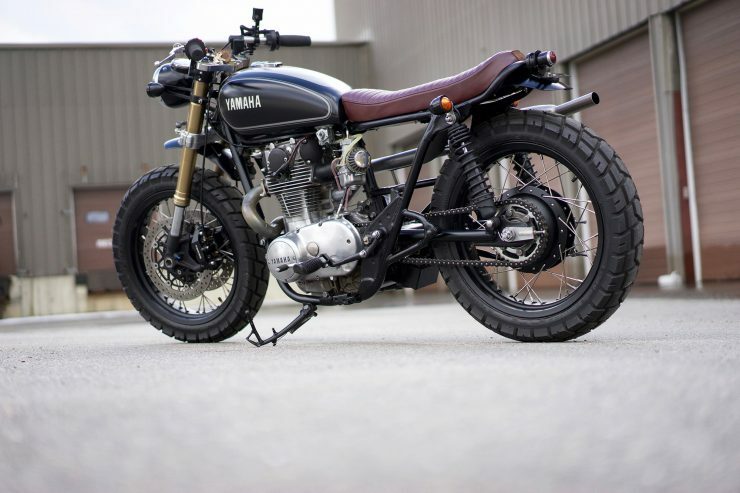 The Yamaha XS650 was first introduced in 1968 and stayed in production in one form or another until 1985 – an impressive run for a motorcycle that gives a good indication of just how advanced the engine was when it was first designed in 1955. 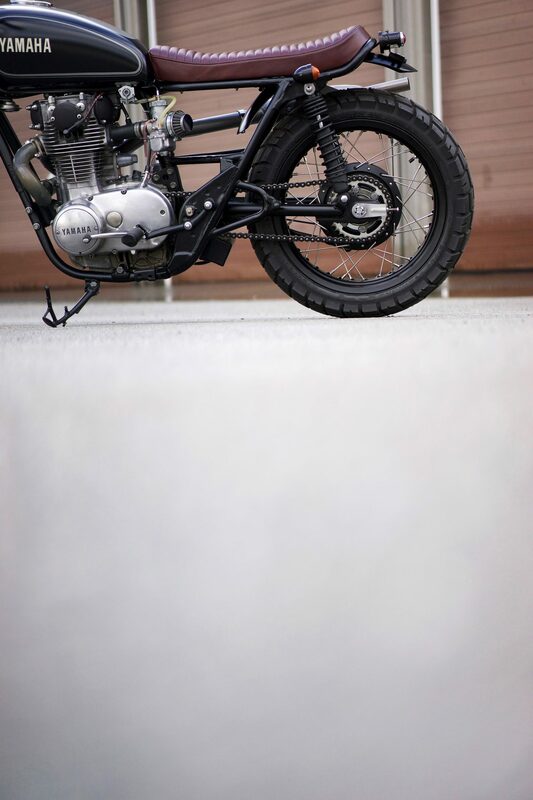 The SOHC parallel twin started life on a drafting table at Hosk, a Japanese motorcycle manufacturer that began installing it in motorcycles in ’55. 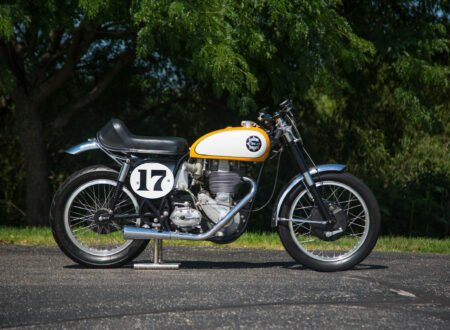 Hosk was later acquired by Showa, which was then acquired by Yamaha – and as it happens Yamaha was in need of an air-cooled parallel twin. 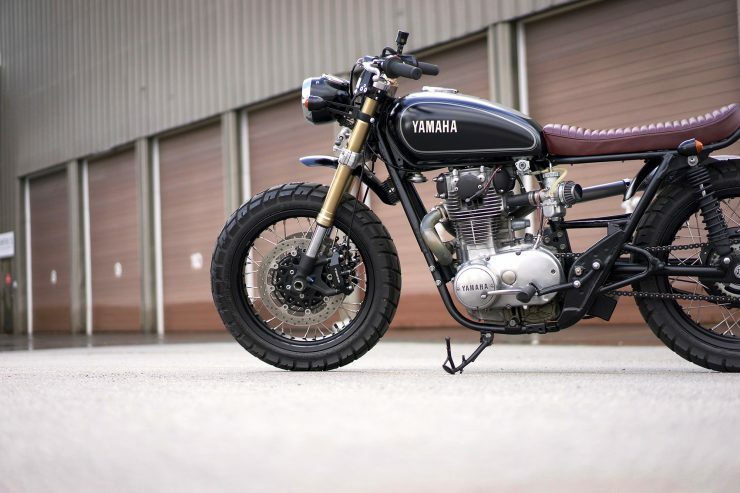 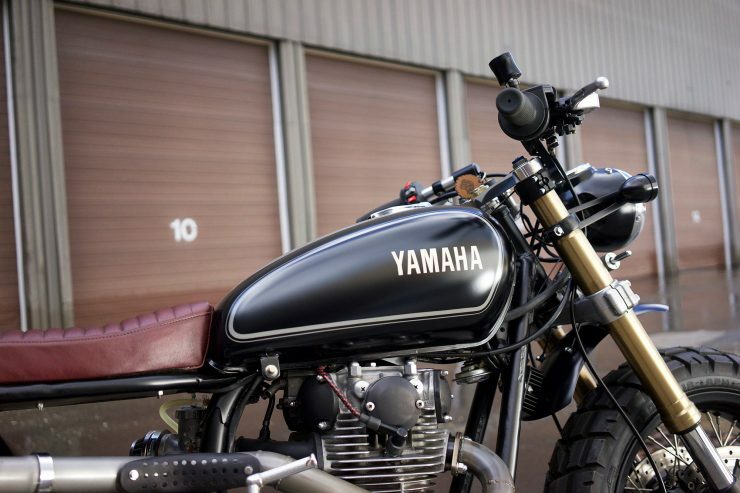 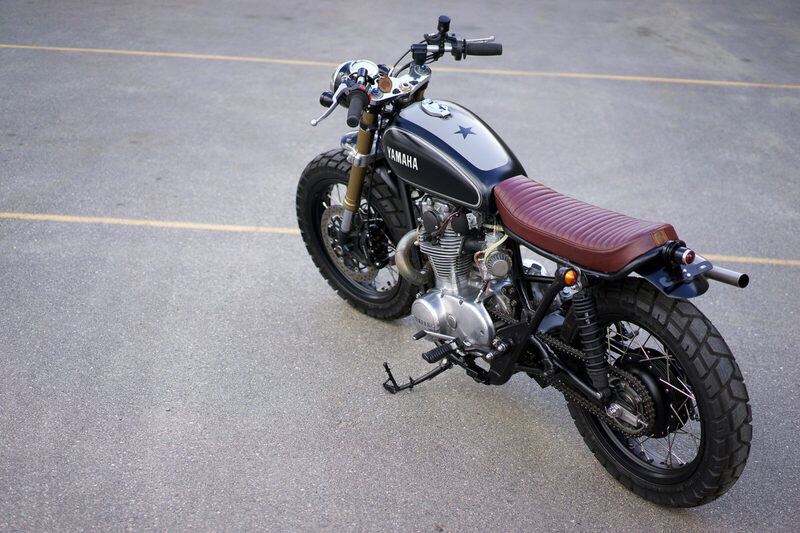 The Yamaha version of the motor first appeared in the XS650 of 1968, a bike aimed squarely at the market dominated by the British twins of the era. 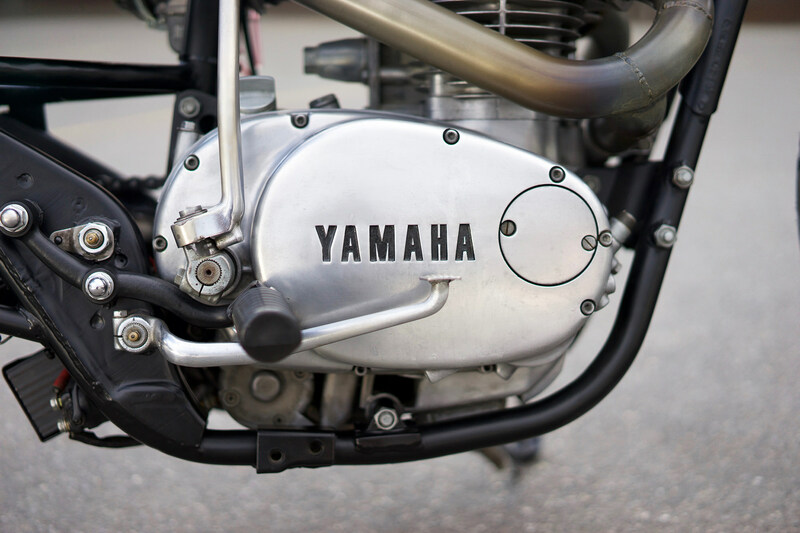 The Yamaha engine had a few advantages over its English counterparts, it didn’t leak any oil thanks to its horizontally split crankcase, the engine and gearbox share the same casting which simplifies production and maintenance, and its SOHC head is markedly more advanced that the pushrod parallel twins that were far more common at the time. 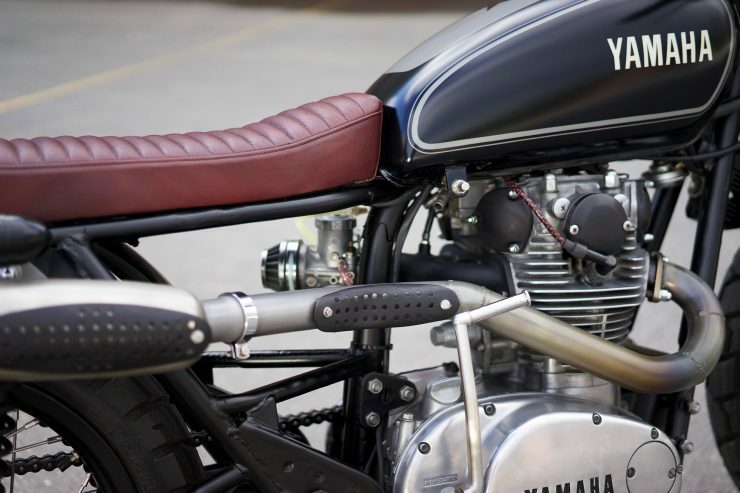 In more recent years the XS650 has found popularity with custom bike builders who need a mechanically simple and reliable air-cooled engine. 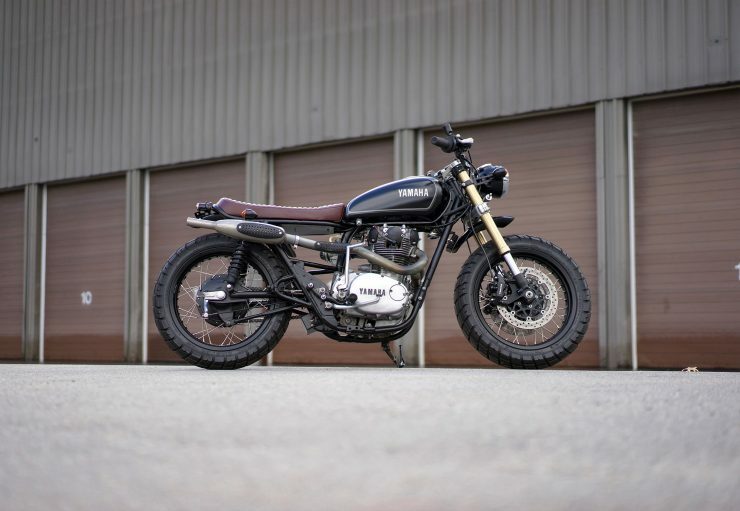 As a result of this we’ve seen the humble motor installed in everything from choppers to cafe racers, and my personal favourite – the scrambler. 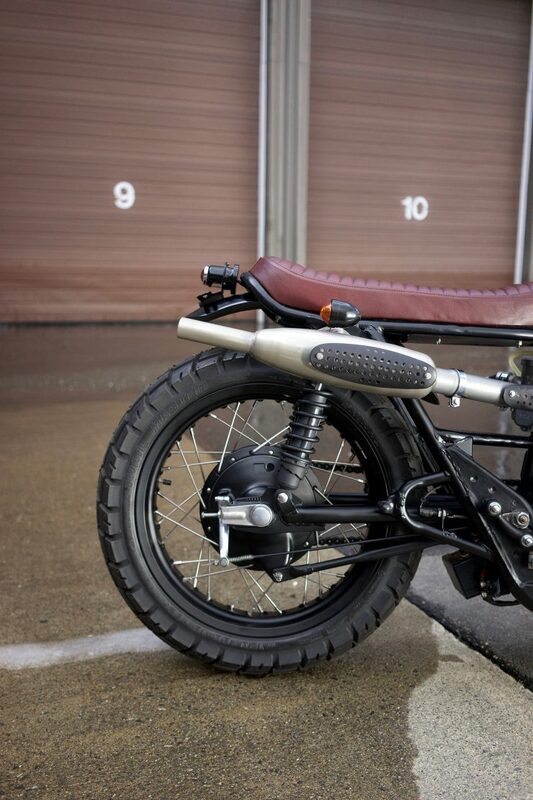 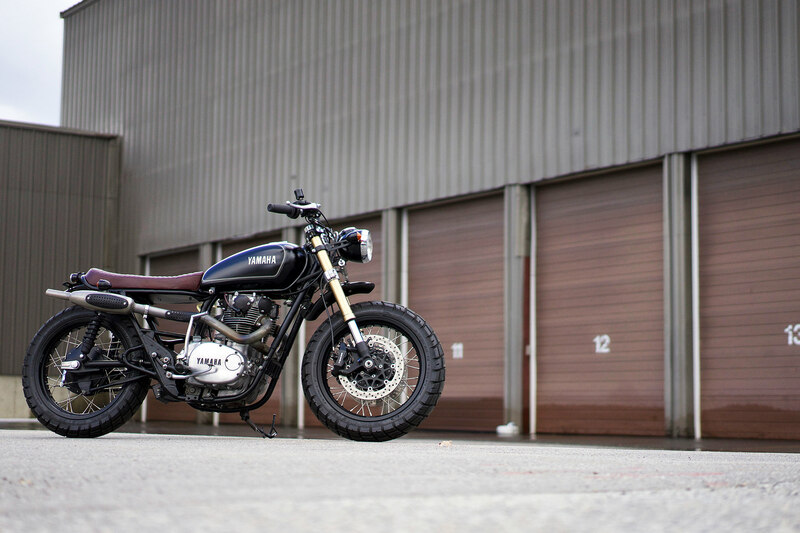 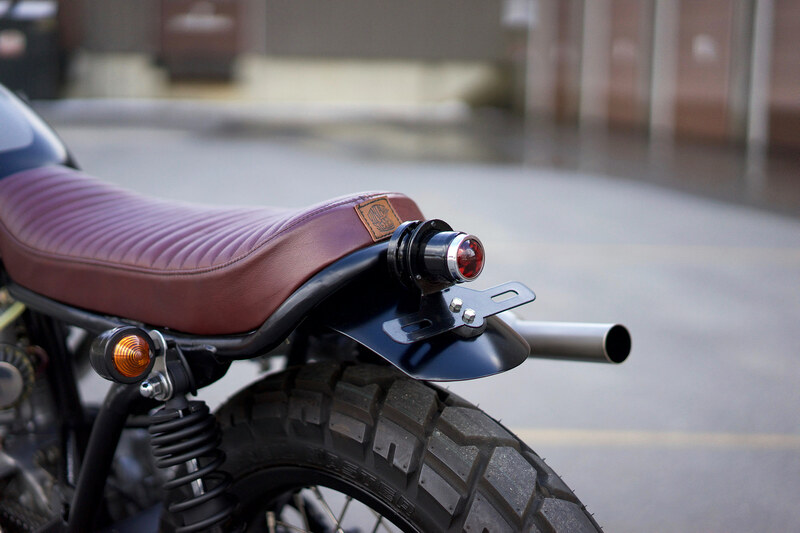 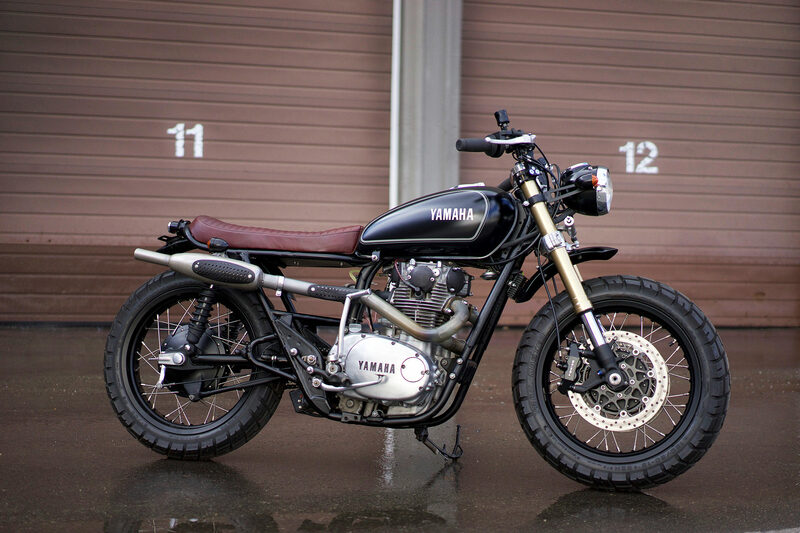 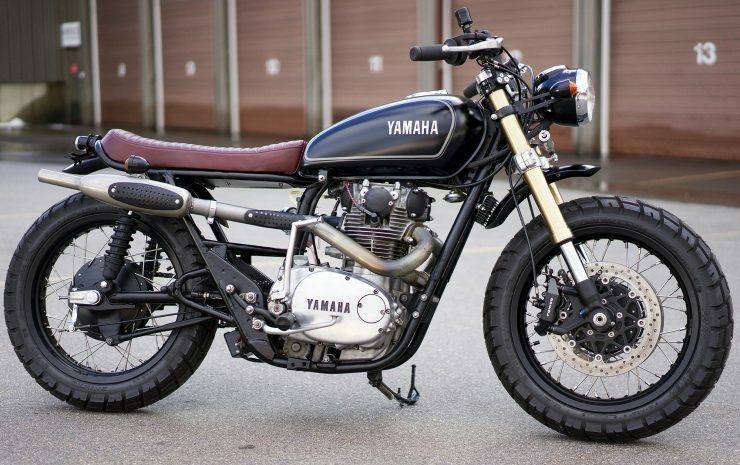 The modern scrambler is typically a road-going motorcycle that’s been modified for light to moderate off-road use, with high exhaust pipes, dual sport tires, and oftentimes elevated handlebars, modified suspension, and long flat seats. 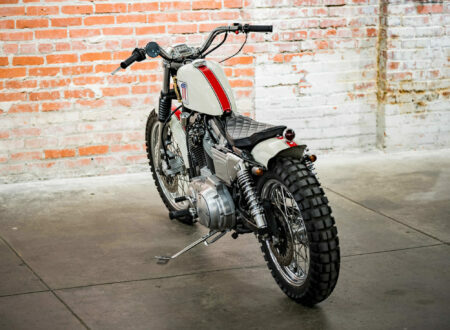 The bike you see here was built for Montana, a young woman from Vermont who wanted something simple that’d work well on road and be capable of exploring the occasional fire trail. 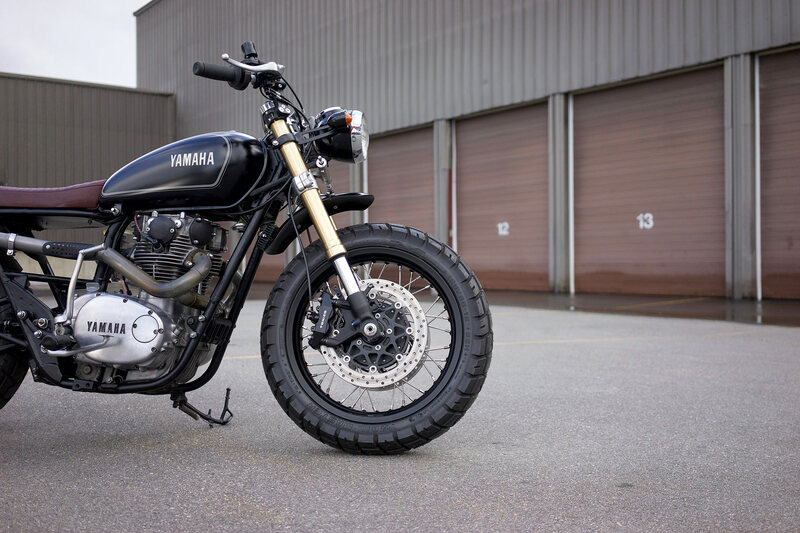 After chatting to the team at Vintage Steele they settled on the Yamaha XS650 as a starting point – and the build got underway. The original cast wheels were swapped out for spoked wheels shod with Shinko Trail Master tires and Excel rims. Inverted forks from a 2005 Suzuki GSXR were used in place of the aged originals, with a Cognito Moto stem, front hub, and triple tree. 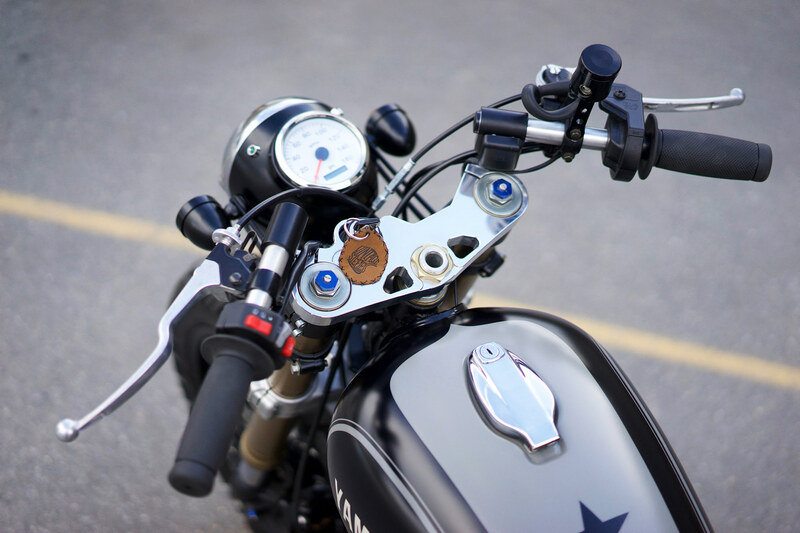 The wiring loom was replaced, with a new charging system supplied by Mike’s XS – a cornerstone of the global XS650 community. 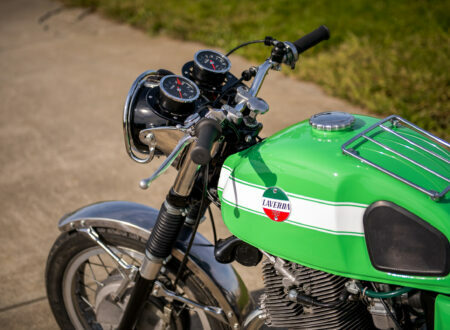 A single Mikuni carburettor replaced the original twin carb set up, and a GPS speedometer replaced the original mechanical unit. A new set of twin exhaust pipes were made in-house, with heat shielding front and back to help avoid the non-website version of pipeburn, and new front and rear fenders were shaped and fitted. 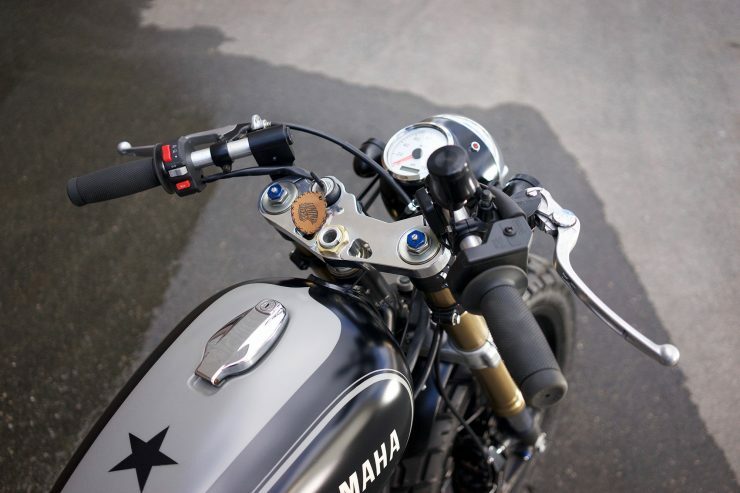 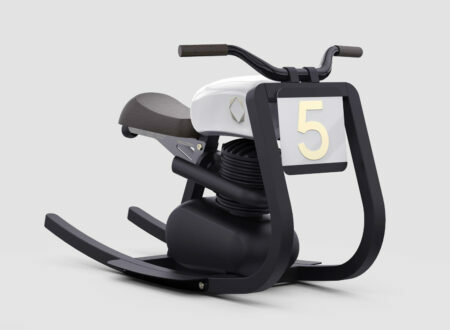 The completed bike benefits from significant suspension and braking upgrades over stock, with simpler carburetion and better flowing exhausts. 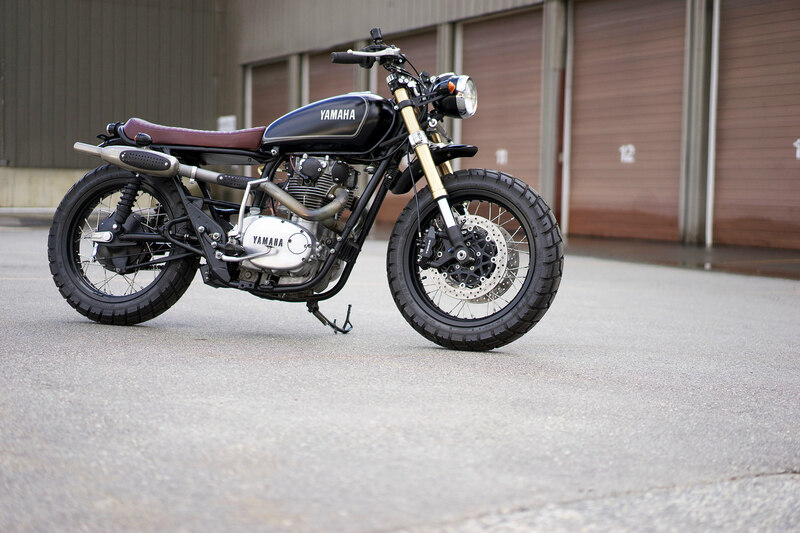 The keys have now been passed over to Montana, who can be seen riding it on the streets of Vermont, which is a confusing sentence if you’re a skim reader who skipped to the end. 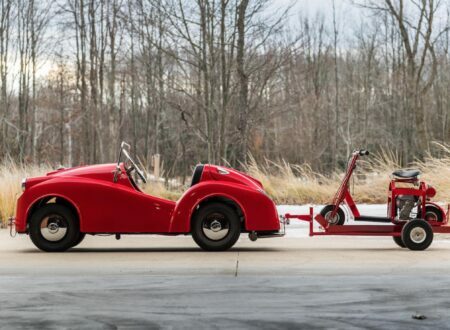 If you’d like to see more from Vintage Steele you can click the links below to visit their website or follow their social media accounts.